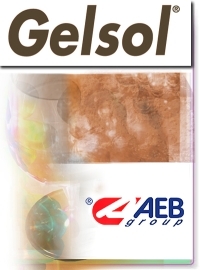 Gelsol is a special hydrosolubilized gelatin for the clarification of red and white wines and distillates. It is prepared in a stable solution, clear, odorless and of immediate application. It has a tannin combination index higher than that of normal liquid gelatins. Gelsol is easy to use, as it must not be solubilized in warm water and displays a strong gel power facilitating the adsorption of the unstable molecules naturally present in wines, polyphenolic substances and colloidal colorants. The clarification process is immediate, as Gelsol reacts at once and in a specific way, becomes insoluble and flocculates while forming heavy macro-coagula which incorporate the suspended solids. The obtained sediments are compact and well adhering to the bottom of the tank. Thanks to its peculiar structure, it displays a distinct reactivity with silica sol and can be combined with it for static clarifications or flotation. In white wines, Gelsol well stabilizes color and taste, modulating the presence of proanthocyanidins, molecules playing a very important part in the oxidation process, and eliminating astringent and bitter tannic fractions. In red wines it plays a decisive role in the product quality, as it eliminates astringent polyphenols and leaves the color intensity totally unaltered thanks to the poor affinity with anthocyans. In distillates, which may have been kept for a long period of time in contact with new wood, it removes the tannins which are responsible for the bitter-astringent tones. 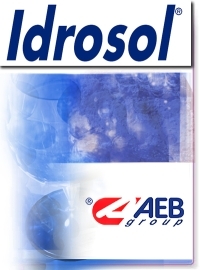 Idrosol is a highly concentrated liquid gelatin, stable and activated through particular processes. It is produced by a production process of hydrosolubilization, which renders this clarifier a clear straw colored liquid, completely pure, odorless and free of any other foreign matter. It softens wines which have undergone a too vigorous pressing or which, thanks to the structure of the origin grapes, display an excessive concentration in astringent tannins. Idrosol is easy to use, can be directly added to wines without further handling and within a few hours it sensibly improves the sensorial aspects of the treated wines. This preparation causes the instantaneous flocculation and the creation of large and heavy macro-coagula, the resulting sediment is compact and easily filtered out. The color of the final products shows a great elegance, as Idrosol has no affinity towards anthocyans and it is possible to treat red wines with high doses without losses of coloring matter. 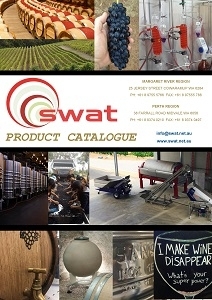 In fact, clarification of normal wines requires doses variable between 10 and 40 g/hL, for very tannic wines the suggested concentrations are between 40 and 100 g/hL. In white wines poor in tannin, rich in polysaccharides and with a low pH, it is suggested to combine Idrosol with Majorbenton B or Bentogran, in order to grant the complete flocculation and avoid the risk of possible overfining. Ve-Gel – Recent years have seen an increasing demand towards alternative products to animal based proteins for the clarification of musts and wine. After two years research, AEB Group created Ve-Gel product based on vegetable and yeast proteins. The synergic action of these two compounds makes the product ideal for clarification of musts and wines difficult to be clarified, above all in combination with inorganic clarifiers (Spindasol, Bentogran). The high reactivity of this protein complex towards bentonite and silica sol enables to obtain a quick clarification with compact deposits. In the static settling of grape musts, Ve-Gel enables to obtain not only better technological result but also more favourable parameters. 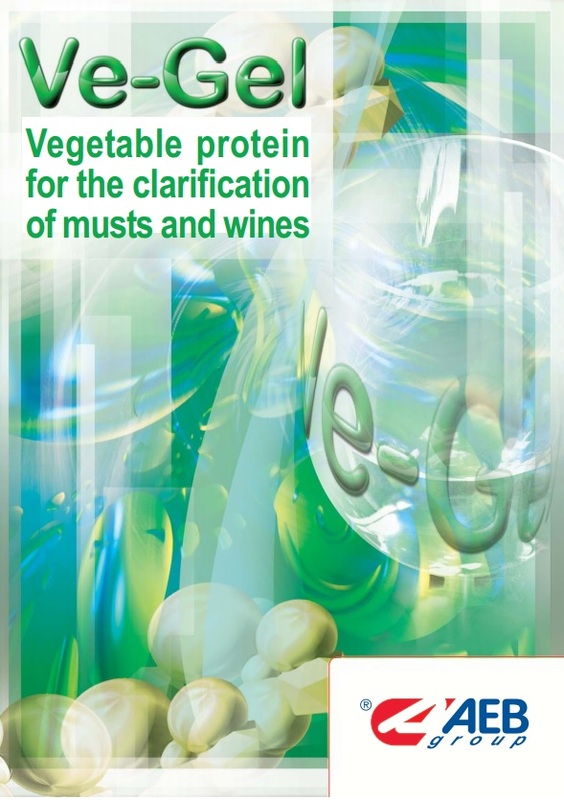 The clarification degree is higher than the one obtained with common vegetable proteins, the deposit is more compact and the clarification is carried out in a sensibly lower time. Thanks to its reactivity, Ve-Gel can be successfully utilised during flotation, alone or in association with bentonite. Ve-Gel has a low reactivity towards the colouring matter and can be used in red wines with no colour loss. Dose: 10 – 50 g/hL. Preparation: Dissolve Ve-Gel in water at a ratio of 1:15. 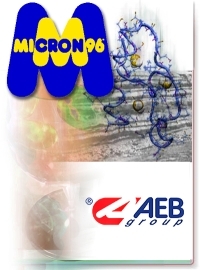 Micron 96 is an extremely soluble micronized potassium caseinate with a protein index above 96%. Micron 96 eliminates anomalous oxidation smells and enhances the typical aromas of the origin cultivars, eliminating the risks deriving from the utilization of active carbons that may, sometimes, impoverish wines. Micron 96 acts in a generalized way on musts and wines lowering iron and copper concentrations, metals that are the main responsible agents for instability caused by oxidation, and its action is proportionally higher on musts and wines with a higher content in these elements. Treatments can be decided fixing variable quantities of the agent depending on the production needs: in musts the addition is variable between 50 and 100 g/hL, leaving the product in contact for the complete fermentation time, in wines the addition is between 20 and 100 g/hL and the combination can be decided with other clarifiers for a synergic action. 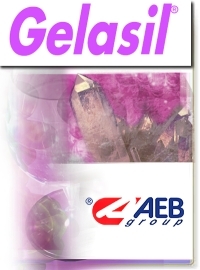 Gelasil is a food-grade gelatin studied for combined clarifications with both bentonite and silica sol. It is particularly pure, indicated for the clarification of musts, wines, distillates become very tannic for the prolonged contact with wood. Gelasil was purposely studied to develop during its utilization the best flocculating and adsorbing properties and to reduce to a minimum the inconveniences that may occur during the utilization of this particular range of clarifiers. It induces the formation of instantaneous flocculations and big and heavy macro-coagula, quickly precipitating in compact and easily filterable sediments. This clarification aid has no affinity towards coloring substances, therefore even high doses can be used without causing color losses in wines. When using Gelasil, a particular attention should be paid to the pH value and to the Gelasil-polyphenols combination index, notably affected by it. The further it is removed from the isoelectric point of tannin (pH 2-2,5), the more effective the clarification process will be, as a higher quantity of tannins will combine with Gelasil. To avoid possible overfining in white wines or in wines low in tannin, it is advisable to combine Gelasil with ad adequate treatment with Majorbenton B or Bentogran bentonite. Spindasol W is a clarifying agent composed by a 30% silica sol, utilized in conjunction with Gelsol or Ittiosol at the ratio of 1:5 and 1:20 depending on clarification needs. It is the ideal preparation where other clarifiers did not succeed in giving satisfactory results. The particular affinity binding Spindasol W to liquid gelatins enables to obtain highly visible floccules which precipitate dragging towards the bottom particles which make up the turbidity of the liquid. Its specific activity enables to obtain in musts very high brightness values, between 30 and 50 NTU. 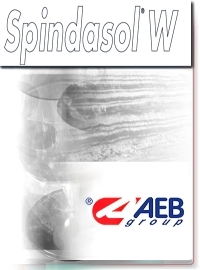 Spindasol W is successfully used in flotation, where it enables to noticeably reduce the sludge percentage. In wines it allows the total elimination of the suspended carbon after decolorization, leaving the clarification lees well compacted. Spindasol W and Gelsol or Ittiosol must be added separately in the liquid to be treated. In the case of normal clarifications, Spindasol W is always added to the mass first, followed by one of the liquid gelatins. When effective tannin removal is required and therefore more liquid gelatin is required, the addition of Gelsol (or Ittiosol) will precede the one of Spindasol W. In the case of treatment with potassium ferrocyanide or carbon, these must be always be applied before Spindasol W and Gelsol or Ittiosol. It is suggested to always carry out preliminary clarification tests in order to determine the right Spindasol W-gelatin dosage. 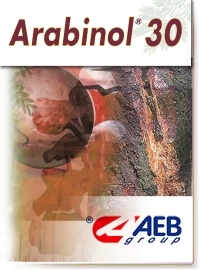 Arabinol 30 is a solution of clear Gum Arabic extracted from Acacia Senegal in a concentration above 30%. It is the ideal agent for structured and important wines, where it completely consolidates and improves the analytical sensorial outline. It carries out a protective and stabilizing action towards the coloring matter of red wines, preventing its precipitation. The action of Arabinol 30 positively affects the intensity and aromatic persistence of the olfactory sensations and gives the treated wines particular elegance and softness. Arabinol 30 prevents tannins from combining with the proteic part of the spit, causing its coagulation; in this way the spit keeps on carrying out its functions protective and lubricant for the oral cavity, rendering wine gustative sensations softer and more velvety, above all in the case where there is the presence of qualities deriving from refining and a particular prized body. Arabinol 30 enhances the characteristics of typicality of the finished wines, where it eliminates roughness or bitter sensations that may be present in the after-taste and affirms in a balanced way the elegance and fineness of the aromatic nuances. The product can be used at concentrations between 50 and 500 mL/hL. Polygel W is an agent made up by PolyVinylPolyPyrrolidone (PVPP), made homogeneous through an activation process with silica hydrogel in order to improve its adsorbing power. It is a preparation properly studied to decrease the yellow color of the polymerizable polyphenols in white wines and to maintain for a longer time fragrance and aroma in all wines. The exclusive production process and the specific formulation grant the action of a polymer with a perfect chemical inactivity, possessing the capacity to adsorb polyphenols through hydrogen links with the nitrogen group. 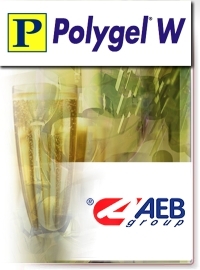 Polygel W acts with absolute selectivity towards the polyphenolic fraction, without interfering with the other wine constituents. The treatment induces a marked astringence and roughness decrease caused by polyphenols and highlights the best wine natural organoleptic sensations. Polygel W does not influence anthocyans concentration and structure. In wines treated with Polygel W, the decrease in the catechin content is averagely included between 20 and 40%, while proanthocyanidins decrease by approx. 30-60%, proportionally to the dose of utilization. Adsorbable products with polyphenols are completely insoluble, therefore they are completely separated during filtration, without leaving any residue. Polygel W gives the best results in the traditional continuous dosing filtration, where the treatment can be carried out during body-feed or in the continuous dosing. The doses of utilization vary between 10 and 50 g/hL, depending on the desired intensity of polyphenol removal. 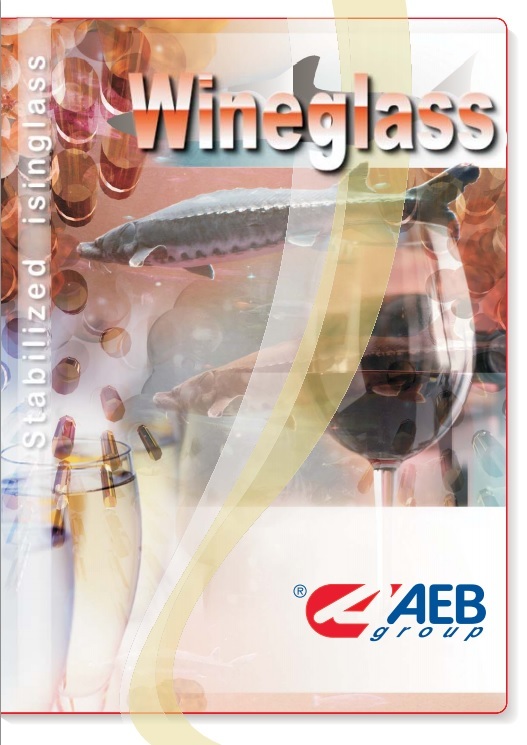 Wineglass – Stabilised Isinglass – The use of Wineglass is ideal for the clarification of white wines if combined with bentonite (Bentogran) or silica sol (Spindasol), for rapid sedimentation that eliminates turbidity and light wines from overdoses of tannin. The use of Wineglass in red wines has a great impact, as it performs very well on the removal of green and astringent tannins that are very aggressive on the palate even at average to high doses. While at lower doses it enables the removal of slight palate harshness often present prior to bottling. The combined use with gelatin and egg albumin eliminates unpleasant character fractions from a wine. Preparation: Dissolve in water at 2% rate. Utilisation: Add to the mass by pumping over within 2-3 hours after preparing it without creating foam. At temperatures above 30C the solution tends to separate.